The McKendry family motivates riders every day with their new class outside Edinburgh. And now, their story has been featured by the BBC! 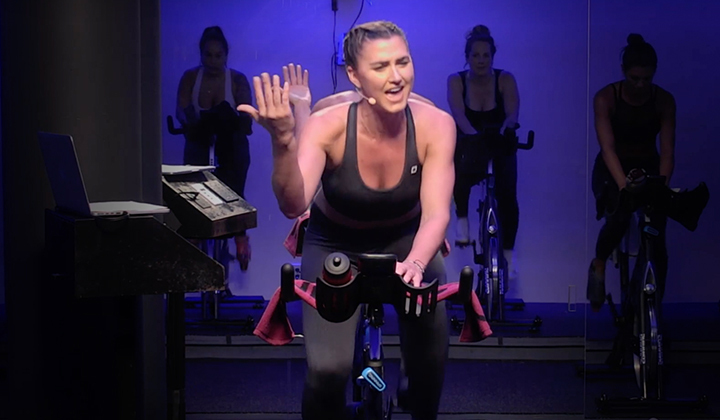 Every Spinning® instructor dreams of having a class so popular that there is a waiting list. One class with this coveted status takes place every morning at the Danderhall Leisure Centre, located in a quiet village just outside Edinburgh, Scotland. 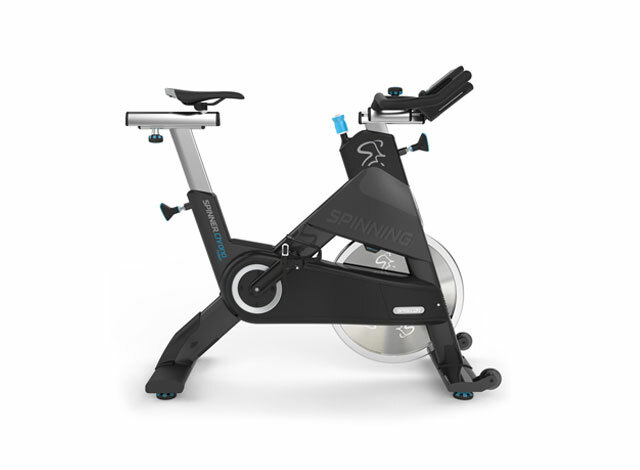 What draws new riders to this exceptional Spinning® session is not its large space, dazzling visuals or top-of-the-line sound system. Rather, it is the inspiration delivered by Iain McKendry and his mum, Janis. Iain was diagnosed with cerebral palsy when he was just 15 months old. Doctors feared that he would be unable to walk, but after several successful procedures and with the support of his parents, Iain learned to move without the aid of a wheelchair or walker throughout his school years in Florida. He dreamed of participating in sports alongside his classmates, but he was still limited by his condition. 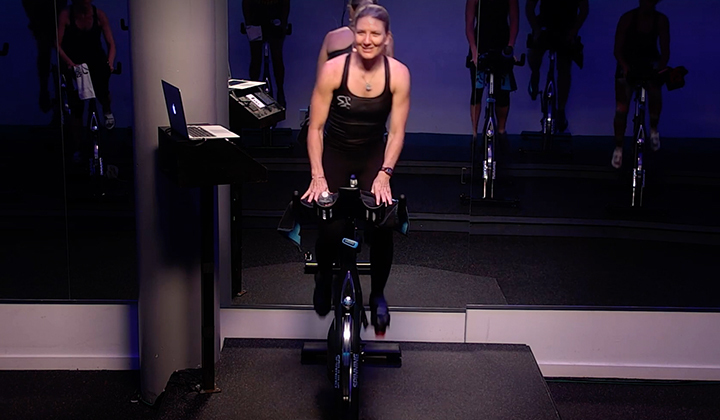 During a trip back home to Scotland, Janis discovered indoor cycling, and she thought that it would be the perfect activity for her son. While some gyms were reluctant to allow Iain to ride with his disability, one Spinning® studio in southern Florida welcomed him to class. He quickly fell in love with the activity, and found out how much it improved his strength and mobility. With the support of instructor Robin Ryan, Iain and Janis started conducting small classes for friends and neighbors out of their garage. Robin also helped Iain enroll in an instructor certification so that he could start leading his own classes at an official Spinning® facility. Touched by their incredible story, Mad Dogg Athletics owner John Baudhuin gave the McKendrys a custom Spinner® bike signed by the entire MDA staff, and Master Instructor Josh Taylor featured Iain at his special “Fighter Pilot” ride at WSSC 2013. Although the family relocated from Florida to Scotland in November 2016, Iain’s passion for Spinning® never waned. Seeking new opportunities to lead classes, Iain contacted the Danderhall Leisure Centre to see if they had any space for a new class. In a room no bigger than their garage in Florida, both Iain and Janis started “Club McKendry” and have attracted a big following of local enthusiasts who come to class feeling motivated by Iain’s journey. Their success has even warranted a profile by the BBC in Scotland. 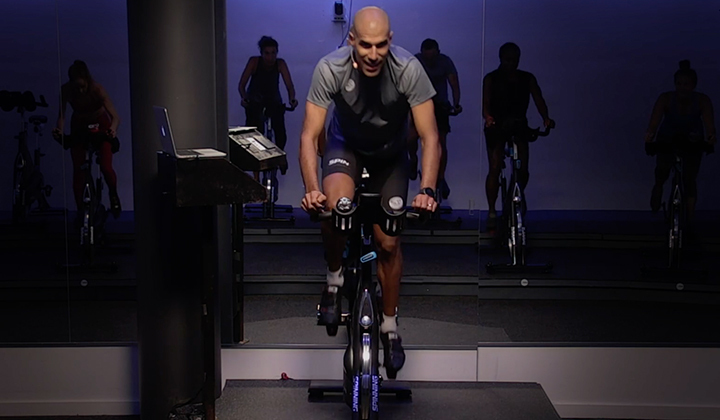 Despite his limitations, Iain has completed Spinning® program’s new advanced certifications, and he aspires towards becoming a Master Instructor one day. We are so encouraged by the McKendrys’ incredible journey. Please share more inspirational stories in the comments below on the official Spinning® Facebook page! This article was contributed by Greg Mantell, Director of Content Management – Mad Dogg Athletics, Inc.